Once again, I am so thankful to all of you for entering. Giveaways are a way for me to express how much I appreciate you as followers. I would like to give a special thanks to all who shared. I'm planning more giveaways soon. As I create , I will be setting aside pieces I think you'll appreciate. 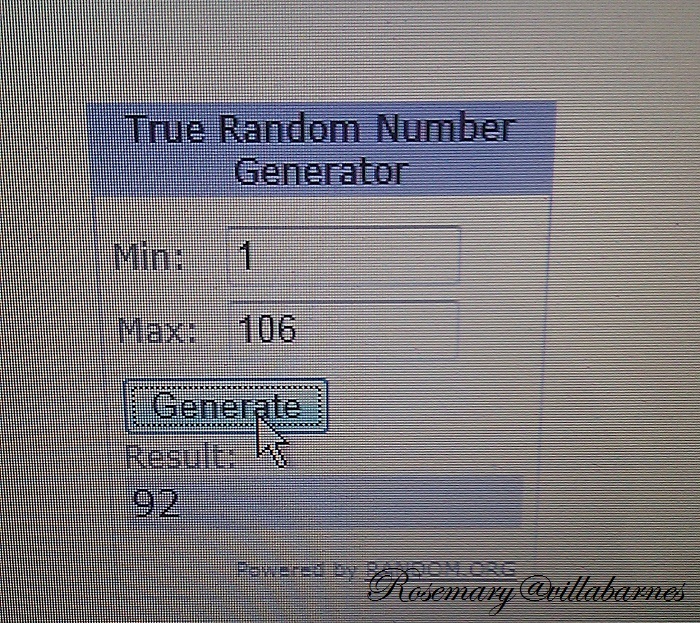 Now, the winner of GIVEAWAY #10. Roxanne Reinhart @ Forever Dreaming. Congratulations, Roxanne. Email me with the address you would like me to send your HEAVENLY VIGNETTE. Greetings to you and to you from Italy! Congratulations to Roxanne. I know she'll love them. It looks like you are very busy! I still cannot believe we have not met yet! Rosemary I have to get busy on my holiday things.Keeping my fingers crossed I need to start next week! Lucky girl. What a pretty grouping of bottles. Thank you everyone and a huge, huge thank you to Rosemary!!! I love everything you do Rosemary, but these will have special meaning to me. I buried my younger sister 6 days ago and I said if I won I would dedicate the bottles to her as she is now an angel in heaven. I will think of her every time I look at these beautiful bottles. I can't think of a lovelier tribute than your bottles!! Thank you so much Rosemary. 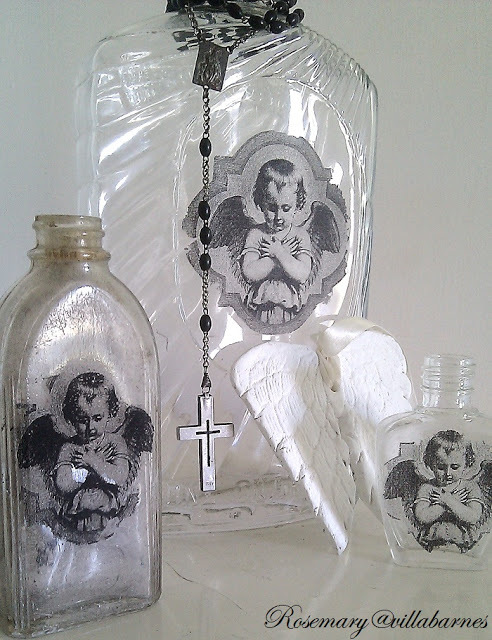 I am so sorry about the loss of your sister, Roxanne, and I can't think of a lovelier tribute to her than Rosemary's beautiful angel bottles and angel wings. I truly believe that God played a hand in your winning this giveaway, and I hope that will give you some comfort during this sorrowful time. It is a pleasure to discover all your creations on your beautiful blog. Congratulations to Roxanne. Thanks for the fun. Congrats to Roxanne. Very sorry to hear of your loss. What a beautiful tribute to your sister. Thank you again Rosemary!!! I also want to thank Pat and Irene for your kind comments. I can't think of anything that I'd like better as a tribute to my little sis. Not one thing! Congratulations, Roxanne! 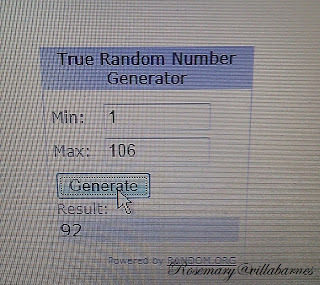 Rosemary, it's so awesome that you have a giveaway of your beautiful creations.